The tragic bomb blast in Bulawayo, Zimbabwe on the weekend of 23 July 2018 at a Zanu Pf rally made one pause for deep reflection on the state of our national (Zimbabwean) politics. While expressing deep shock and sadness at the lives that were lost and those that were injured by the terrible incident, we can only hope that this or anything similar to it will never happen again. Either during this electoral period or anytime afterward. In any circumstances. We do not yet know the motivation for what Vice President Chiwenga referred to as a ‘terrorist act’. And correctly so, all opposition political parties worth their national salt have condemned this terrible act. While the security services are still investigating it and without any remit to make further comment on this tragic incident, all Zimbabweans must seek to rise above it. There will be and already are many stories that point to various conspiracies about what could have been the motivation for such an attack. And Zimbabwean social media (domestic and Diaspora controlled) has fuelled these conspiracies further. Either by way of genuine speculation or attempts at conspiratorial attention seeking or clickbaiting. This to the extent of political party leaders (at varying levels) beginning to mix up official perspectives on the tragedy with personal opinion on social media. And in some cases doing the same in the mainstream media. But I am persuaded that all Zimbabweans, especially those that are voters and even those that would want to be elected political leaders from various political persuasions, for all their faults and views on this matter, would want the country to proceed to never veer from its, faults and all, electoral culture. Even if their interests and reasons for doing so are entirely personal. Or about their own political ambitions. There is always however a need for all of us to pause and reflect on our national political culture, the motivation(s) of our political leaders, parties and activists in their pursuit of political power. In this, we must move forward beyond loyalties to political individuals and a loyalty to political values that connote more democratic meaning and a pursuit of national democratic posterity. By the latter I mean that we must undertake our political activism less for the moment and more for a true democratic meaning beyond our own lives, lifestyles and personal experiences. While the events of November 2017 with the ‘military intervention’/ ‘coup-not-a-coup’ that spawned them remain an eyesore of our politics, (it never had to happen but it did), we have to chart a new national democratic culture and course. And this is one that must rise above the long standing succession dynamics of the ruling party that got regrettably played out onto the national political stage. But we deal the hand we are dealt with. Both by default and by way of our own popular misunderstanding of what happened or, now, in the aftermath of the Bulawayo incident, what we remain on tenterhooks about what should by now be a straight forward electoral process. In avoiding the conspiracies, one has to discuss what would be the country’s political future. That future should be underpinned by an immediate and direct abhorrence of politically motivated violence. In whatever form. And it must value the lives of every Zimbabwean regardless of their political hue beyond political slogans, persuasions and loyalties. But our levels of national and democratic political consciousness are worrying. Especially in the aftermath of the Bulawayo national tragedy. At the risk of sounding repetitive, we need to rise above such terrible acts and continue to create a deeper democratic meaning to our national politics. 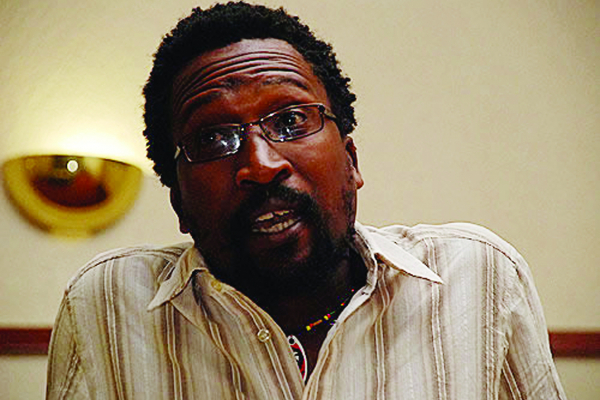 From those that would claim ownership of ‘Operation Restore Legacy’ through to those that would talk of ‘Generation 40′ and others still of ‘Generational Consensus’ and others whose ‘mantra’s or dictums’ are not yet clear, the issue that they must be reminded of is that they do not lead for themselves. They lead for others and they set precedents of the nature of our future democratic politics as led by younger comrades who may not have as much patience as they would have. Either based on experience or on long term political ambitions. Individual or organisational. So it’s a good thing that the Zimbabwean government has committed itself to ensuring that elections are held as scheduled on Monday 30 July 2018. But not only for the purposes of assumptions of personal electoral victories. But more for the purposes of proving that our nascent functional democracy begins to work beyond individual political ambition, pursuits of power for its own sake but more for constructing a new democratic culture that shuns altogether political violence in whatever form and respects the sanctity of human life. No matter the differences of political opinion and political grudges of the past. As the legendary Zimbabwean musician Thomas Mapfumo once sang, ‘Hondo isu takairamba kare’( we refused acts of war a long time ago.) We should look to the future and while acknowledging the past, seek better democratic solutions to the latter’s after effects. With better people centered democratic ideas, contexts and a better politics that has nothing to do with politically motivated violence.